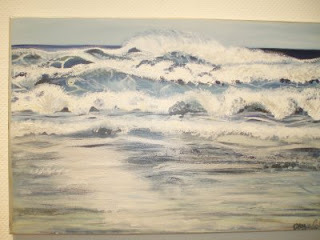 The Oceanic Elements Display can be viewed at The Corvallis Art Center through May 10th, 2009. 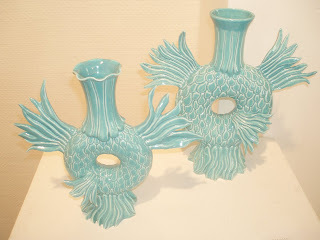 Medium Aqua Vase and Small Aqua Vase, Thrown, assembled and carved porcelain with copper blue glaze. Small Vase $125. Medium Vase $150. 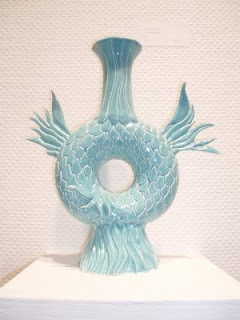 Large Aqua Vase, Thrown, assembled and carved porcelain with copper blue glaze.